NEBytes December 2014–The Dawn of Skynet Santa? Come along and join us for a rare festive NEBytes this December we are delighted to welcome DevExpress Analytics Program Manager, Seth Juarez to the region! Machine Learning can often be a daunting subject to tackle much less utilize in a meaningful manner. In this session, attendees will learn how to take their existing data, shape it, and create models that automatically can make principled business decisions directly in their applications. The discussion will include explanations of the data acquisition and shaping process. Additionally, attendees will learn the basics of machine learning - primarily the supervised learning problem. Seth Juarez holds a Master’s Degree in Computer Science where his field of research was Artificial Intelligence, specifically in the realm of Machine Learning. Seth is the Analytics Program Manager for DevExpress where he specializes in products dealing with data analysis, shaping, and presentation. When he is not working in that area, Seth devotes his time to an open source Machine Learning Library, specifically for .NET, intended to simplify the use of popular machine learning models, as well as complex statistics and linear algebra. We're pleased to announce that for NEBytes this October we are delighted to welcome SUGUK North East's SharePoint Server MVP John Timney and Microsoft Integration MVP Michael Stephenson. In any organization, employees represent the most valuable organisational asset, so ensuring SharePoint meets the collaborative challenges and productivity needs in using the platform will ultimately affect an organization’s profitability and overall success of a SharePoint program. As we move more towards Hybrid estates, or are considering Cloud based deployments for SharePoint, Office 365, SaaS or PaaS, aligning the people and the objectives becomes financially intertwined. This session will focus on how to improve that critical aspect of SharePoint project incepetion and a key facet of Enterprise frameworks such as TOGAF; Goal Alignment. A lack of Goal Alignment in the inception phase is where many SharePoint projects fail before they start. It can be a very misunderstood Governance area outside of the familiar IT domain, and can pull kicking and screaming the mystical SharePoint Architect into the uncomfortable world of business. It is where we set the measures to prove we have delivered something of value, and one of the earliest facet of governance where the business and IT world collide head on. It is the tool for aligning IT and business goals. Join honourary MVP for the day "Dilbert" and his work colleagues as they assist in explaining what Goal Alignment is, and the benefits it can bring, to stop your Hybrid SharePoint Projects failing before they even begin. A veteran Microsoft “Most Valued Professional” award holder and a former MSDN “Regional Director” shows a respected and globally recognised technical background, supported by 25 years in Government and Telecoms IT. He holds current SC Clearance and is ITIL certified. John is co-author of several books and a regular speaker at conferences throughout the UK and Europe and a strong advocate for best practice. John is an enthusiastic, technically diverse, well informed and forward thinking Senior Enterpirse Architect with a very credible market reputation based on global enterprise scale skills hard earned from the ground up. John recently took on an assurance role to validate and assure the 300,000 seat global migration, approach, solutions design, platform and architecture of a Hybrid Office 365 Online Enterprise Wide SharePoint 2013, Lync and Exchange implementation for a Top 4 Global IT Consultancy. He has spent a number of years in a leadership team as Enterprise Assurance and Strategy Lead Architect at the UK Department of Education’s flagship E-Cloud programme, specialising in Delivery Assurance and Strategy around the implementation of an enterprise scale IL3 compliant Private Cloud (IaaS, PaaS, SaaS) SharePoint 2010 delivery. His roles typically involve advising Project Directors and Managers, Client Directors and Technology Leaders, End Users, Technical Architects, Developers and Designers to deliver roadmaps for technology evolution and transformation. John is a large scale Enterprise Architecture and Delivery Specialist with proven experience in architectural assurance, strategy, delivery and management of end to end Enterprise scale environments. Skills focus around people, process, environments and systems in the Microsoft Practice area related to all aspects of assurance and governance for Collaboration Programs of work.  There are a number of ways to connect your on premise resources with services in the cloud. What are these options and how do you choose the right ones for your organisation to invest in? 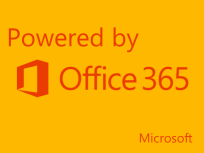 In this session Michael will discuss some of the options available if you wish to connect your on premise data centre with services in the Microsoft Azure Cloud. This session will share some architecture experience from real world projects which used some of these various approaches. Michael is a highly experienced freelance consultant with lots of experience of architecting and delivering integration projects which leverage the Microsoft technology stack. He has deep, practical knowledge of delivering complex solutions with BizTalk, Microsoft .NET, Microsoft Azure and associated technologies. Michael has also been a technical lead on 25+ projects which have leveraged Microsoft's cloud platform. Michael is heavily involved in the community activities around Microsoft technologies through the Microsoft MVP and Advisor/Insider programmes and also speaks at user groups on a regular basis. Michael is also an author for Pluralsight having produced a very popular courses on .net and RabbitMQ. We're pleased to announce that for NEBytes this August we are delighted to welcome Waterston's Ross Dargan to deliver a session on cross-platform development with Xamarin. A look at MVVM, and how to tackle some of the thornier cross platform mobile problems. Update: This event has been cancelled, we look forward to seeing you all in June...! We are a bit late announcing our event this month as we've have had some troubles getting things lined up ready for you. Unfortunately we've not been able to sort a dev speaker or specific topic but fear not instead of cancelling, our own Ben has some Lync content ready to go that he delivered on the recent MUCUGUK tour "A Day of Lync 2013" and has offered to step in. Be warned the Lync content from Ben will be very similar to NeBytes from April 2013 so don't feel like you have to come along as you might have seen it before! However if you are interested in Lync, are considering deploying or know someone who is then Ben will be happy to answer any questions and go off on tangents about design or deployment questions.